Wallerang, modular electric bikes made in Sweden. Wallerang's mission is to bring people together through electric bike mobility and urban living choices of the future.  Now at Bike Attack Electric, the ebike specialist, in Santa Monica, greater Los Angeles area and Online shop. The new Wallerang Tapper is the new kid on the electric bike block.